How do you guys transport your loadouts? 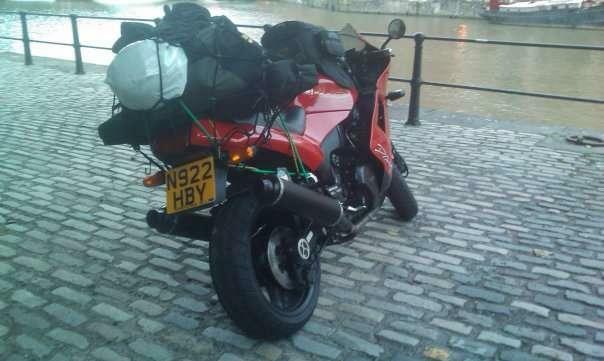 Only reason i ask is at the moment my only transport is a motorbike. Just wondering on options on how to carry my loadouts once i have UKARA etc. Anyone else in a similar position or know people that show up on motorbikes? Any smart things they do to get everything loaded securely? 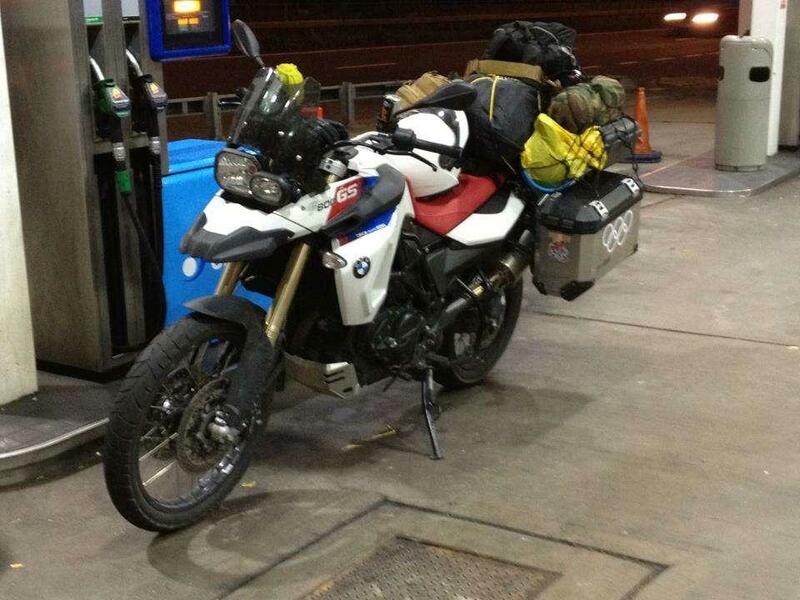 *travel in your gear with riding kit over it. *Simple chest rig or belt kit. Don't bother with the plate carrier, helmet and kitchen sink. *Travel to sites that provides drinks better still lunch. I have ridden and it's not too bad, just have to be slick and light. If your m4 doesn't fit in a rucksack, split the receiver into two halfs and even a 16" m4 should squeeze in a rucksack. A bit off topic, but do motorcycle helmets have strong enough (balistic rated) visors so that the helmet could be an all in one face protection. There are some really good looking bike helmets out there. Hello mate I have same issue as you. Do you have a particular load out in mind or are you not bothered? I run with a chest rig I have a an ASG special teams carbine and a Sterling 9 mm sub as back up all collapse down and fit into a dry bag . BDU's under water proof bike gear. At the site if no better option I keep crash helmet and bike gear in the dry bag chained to the bike while in the game. It not pretty it's not tacticool but it works. Given that these are built to withstand the impact of a head on collision without shattering, my presumption (and don't take this as gospel truth) is that they're easily strong enough to withstand a BB @ 550 FPS. With that said, you'll get bloody warm running around in that all day! 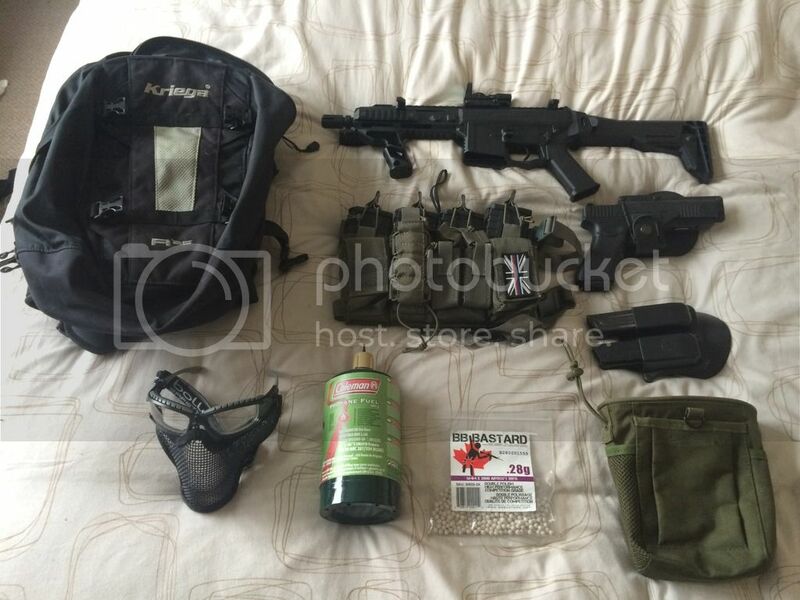 I have a lightweight chest rig that I bought to go with my MP7 for when I want to go to a game with just a backpack. Can fit almost everything I need into a 40L bag (including clothing! ), only exception is boots and helmet. I'd suggest not using a motorbike helmet for airsoft as they are not designed for the job. Any impact to a bike helmet can render is useless in a real crash, I'd not want to get shot in the helmet (oh behave!) and then trust it enough to wear it in a ride home. Yes a visor may with stand a single impact from a BB and not crack but it may not stand up to multiple impacts. That are also heavy and running around all day you will be very hot and sweaty. I had this discussion on FB a week or so ago. The HELMET is designed to withstand impact, the visor isn't. Bizarrely there is no impact test required to meet the EC marking regulation for motorcycle visors. It's all about scratch resistance and visibility. The bigger issue is, as you say the fact that they're hot and sweaty and heavy. Ece 22.05 standard and spec are available online if you want the definitive answers. Haha it did cross my mind about using my helmet as protection but i'd rather not as it would look retarded, as for loadout well i don't have one yet. Although if i can get myself a nice custom foam outlined case that can fit in a rucksack i don't mind breaking down my primary after a game to fit it in(atm got my eyes set on a Krytac once i get ukara). 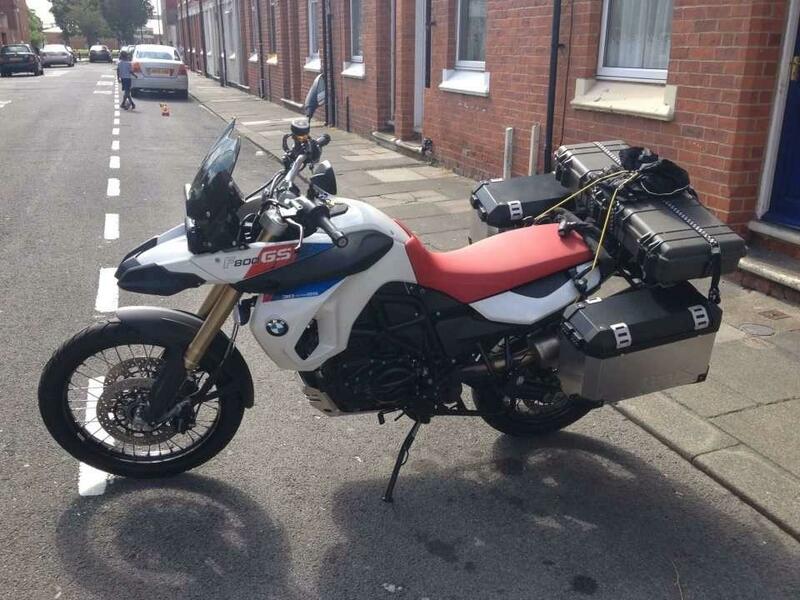 It's good to know there's a few motorbike riders carrying their gear about certainly gives me hope that i can easily find a solution once i start getting my own kit as opposed to renting. Can't see a BB getting through a bike visor. They're small round bits of soft plastic going not very fast. The equilibrium guards were the only movie characters for me which did not look bad with motorcycle helmets. Got a G36? There's a lad rides to Skirmish, Budby, who often brings a pillion and they put their gear in a massive sports bag on the pillion's back. They bring more than 1 AEG each + a full size springer shotgun sticking out of the bag with covers over the protruding barrels, plus at least as much gear as I bring (which isn't exactly stripped down stylee) - they do wear most of their kit under their waterproofs mind. It can be done mate. There is room for a light set of waterproofs,tools, some lunch and a packet of fags. It is possible. Would recommend a gun with folding stock just to make things easier. Ares do a very small m4 veriant. SCARs are great. More people should have them. Ideally for the OP a SCAR-L CQC for the shorter barrel. Very nice gun.....if its a Tm and black. Thats not nice it could hurt my feelings.